~~~~The idea behind our clan name can largely be seen in the above definition; nearly all of us attempt to escape everyday life in some way. Here in Escapism, we do so by clicking links. 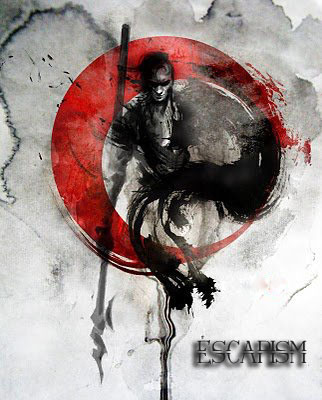 ~~~~Founded in March 2012, Escapism was created at a time when there was no true clan competition owing to the dominance of Eternal. With time, failure, strict recruitment, strategy and teamwork, Escapism eventually became the first clan other than Eternal to win the monthly clan competition in December 2012. Since then we have secured more #1 monthly finishes than any other clan, ensuring a legacy that speaks for itself. Although time may have wearied us, we continue to be active in the clan competition and have a number of experienced veterans and new players alike in our clan, all of whom are willing to compete in the energy race as life will allow it. ~~~~Although we currently have no star competition, in the past 10+ permanent stars have been offered to members based on their scoring efforts. A big thankyou to Esvrainzas and Benny for funding these competitions. We also have a large pool of temporary stars available to members based on need. A big thankyou again to Benny along with Lyrad for providing the majority of those stars. George Washington Owner of top clan. Awarded end of each month. Tourney Cat. 1 Winner Came in 1st place in tournament category 1. Top DEX Top base dexterity in game. Awarded end of each month. Tourney Cat. 9 Winner Came in 1st place in tournament category 9. Tourney Cat. 6 Winner Came in 1st place in tournament category 6. Tourney Cat. 7 Winner Came in 1st place in tournament category 7. Tourney Cat. 4 Winner Came in 1st place in tournament category 4. Tourney Cat. 5 Winner Came in 1st place in tournament category 5. Top Level Top level in game. Awarded end of each month. Tourney Cat. 8 Winner Came in 1st place in tournament category 8. Tourney Cat. 12 Winner Came in 1st place in tournament category 12. Tourney Cat. 15 Winner Came in 1st place in tournament category 15. Tourney Cat. 11 Winner Came in 1st place in tournament category 11. Tourney Cat. 13 Winner Came in 1st place in tournament category 13. Top INT Top base intelligence in game. Awarded end of each month. Tourney Cat. 14 Winner Came in 1st place in tournament category 14. Top STR Top base strength in game. Awarded end of each month. 100k Losses Lost 100,000 battles. 500k Trains Trained 500,000 times. Overkill+ INT 800 base intelligence. Level 400 Reached level 400. 750k Trains Trained 750,000 times. Overkill STR 700 base strength. Overkill DEX 700 base dexterity. Overkill CON 700 base constitution. Overkill+ STR 800 base strength. Overkill+ DEX 800 base dexterity. Overkill+ CON 800 base constitution. Overkill++ INT 900 base intelligence.